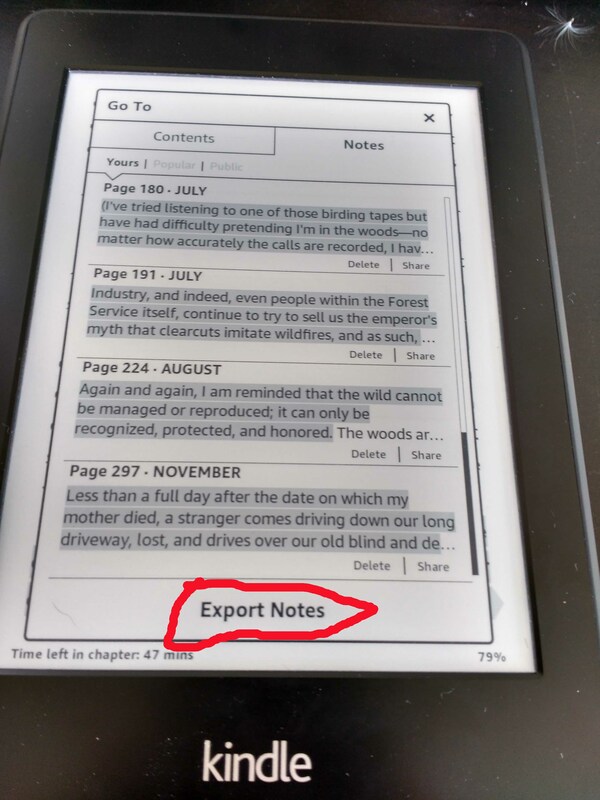 I highlight a lot on my kindle, particularly when I’m researching a particular topic or just to highlight particularly inspiring passages for future reference. 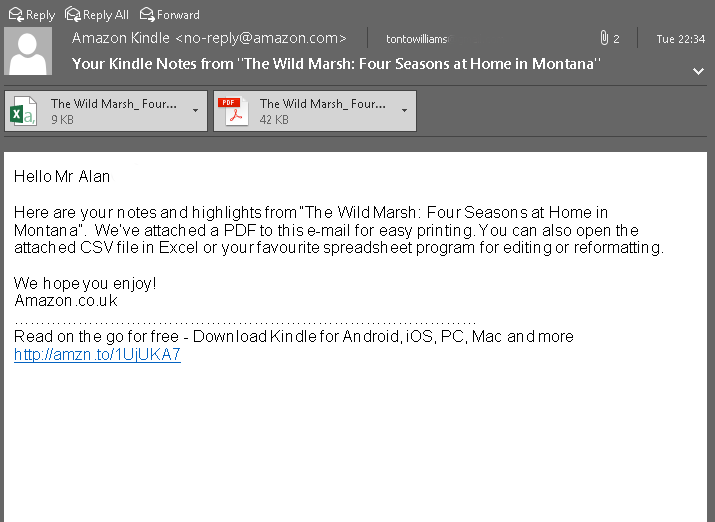 Now there’s a great “new” feature on Kindle which now allows you to directly export your highlights via email, and receive them as both .pdf and csv files. 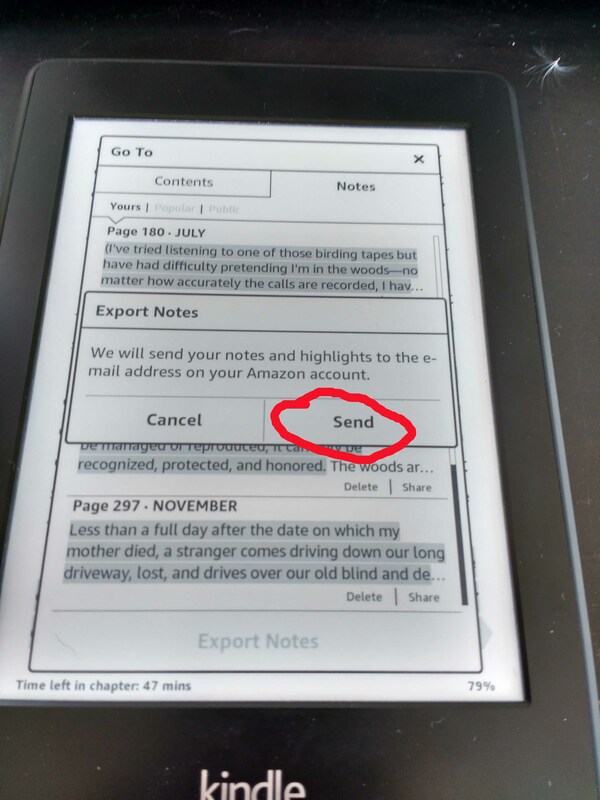 There have been ways to do this via http://kindle.amazon.com for a while now, and your highlights are still stored there, but this is a more direct service. 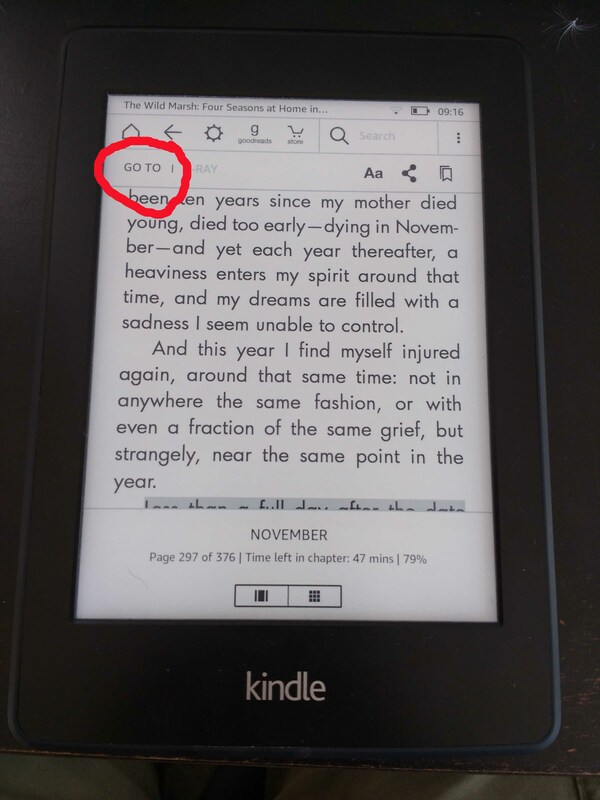 Firstly you need to make sure you’re running the most recent version of the kindle OS on your device (I’ve got a Kindle Paperwhite, and it’s now running ver. 5.8.2). The pdf is a nice little document in it’s own right and the CSV file, allows for easy transfer from a spreadsheet to other places e.g. the research folder in Scrivener. This is a great feature, and one that I feel I will be using a lot, particularly for background research. This entry was posted in Kindle, tech, writing and tagged highlights, kindle, kindle highlights, research, researching, writing. Bookmark the permalink. Very interesting. 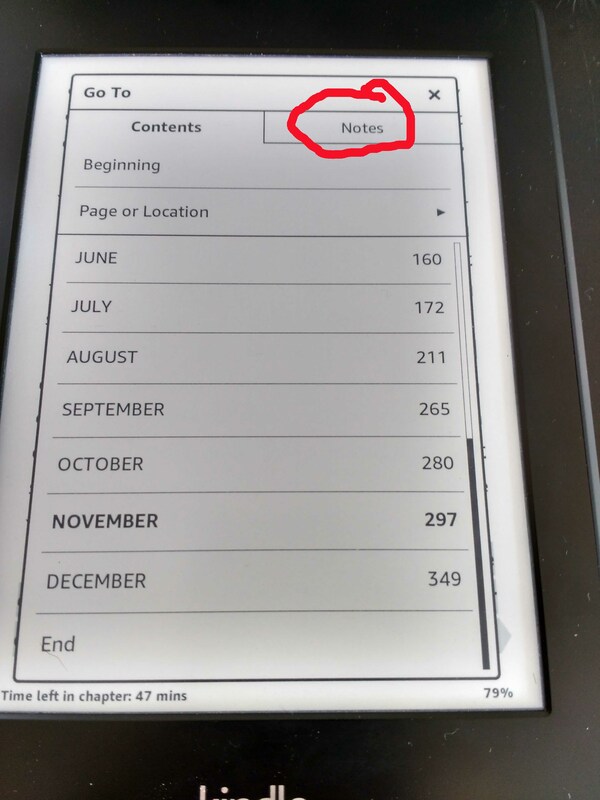 Does the software limit your highlights in any way, like the number of them you make in one book or how much text can be highlighted at once? Hi David, Not as far as I can see. I’ve got some fairly big chunks of text highlighted in some books, and some with lots of separate highlights, but I haven’t come across the software limiting what you can do, but that doesn’t mean it isn’t there, I might just not have found it yet. There are some physical limitations – highlighting text that goes over the screen can be problematic, it’s not easy to exactly select what you want when this happens. Plus there are limitations under copyright, and what is considered to be reasonable use.